Today I wake up to what can only be described as WWIII. Needless to say my anxiety levels were through the roof. 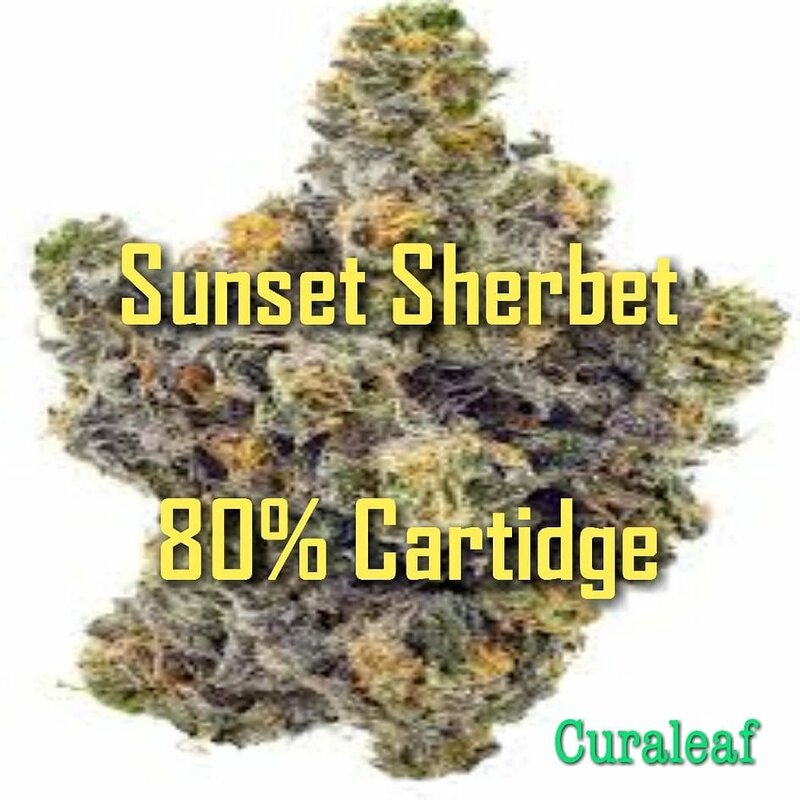 Sunset sherbet from @curaleaffl was the only thing that could calm me down. A few hits from this Cartridge and I completely forgot what I was even stressed about. A euphoric head high came on first followed by a mellow body chillaxation and giggles. Id put this cart. Next to banana kush as my favorite stress. Relief strains available right now. The taste is exactly what you would expect from a name like sunset sherbet, a nice Fruity/ citrus blast with undertones of a sweet earthy taste. 9/10 on this Cartridge as far as I'm concerned. Got orange cookies in I was super excited to try it. Only minutes after, I found It has a perfume/ potpourri smell and taste, Not the Fruity Citrus I was expecting. The high I got, However, was instantly noticeable In my eyes and face with a quick euphoric burst of energy. The effects are great for pain, Stress , Depression ect. Not great for insomnia as it seemed to wake me right up. Id give this Cart a 5/10 based on the taste. If they can fix the flavor it would easily be one of my favorite carts. jack herer brought to you by curaleaf.